Late August has long been a staple for horror film releases, and also a dumping ground for lacklustre fare like last week’s The Apparition. 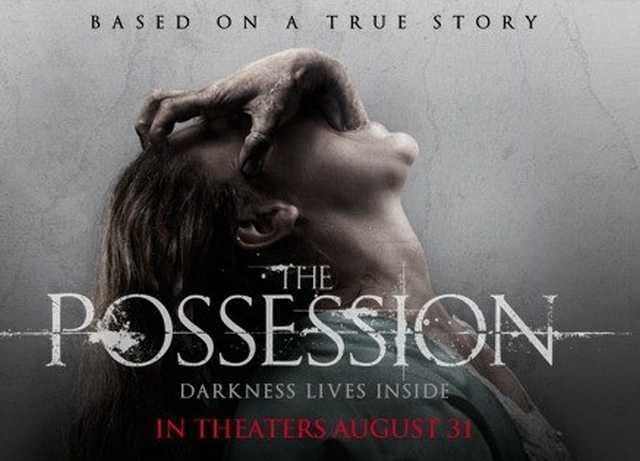 Trying to buck the trend this year is the newest releases from Alliance Films, The Possession. Produced by Sam Raimi’s Ghost House Pictures, The Possession was an idea Raimi had been pursuing for years, now finally coming to realization through director Bornedal. Featuring a fantastic poster and creepy trailer, the question remains, does The Possession deliver on its promise? Supposedly based on a true story, The Possession is the terrifying story of how one family must unite in order to survive the wrath of an unspeakable evil. Clyde (Dean Morgan) and his recently divorced ex-wife Stephanie (Sedgwick) see little cause for alarm when their youngest daughter Em (Calis) becomes oddly obsessed with an antique wooden box she purchased at a yard sale. At first chalking the shift in behaviour to the divorce, Clyde starts to sense there may be something more as Em’s behavior becomes increasingly erratic. Unable to convince Stephanie and new boyfriend Brett (Show) or his eldest daughter Hannah (Davenport) that there is something wrong, Clyde sets out to discover what is happening on his own. Clyde fears that there is a malevolent force in their midst, only to discover that the box was built to contain a dibbuk, a dislocated spirit that inhabits and ultimately devours its human host, and this dibbuk happens to prey on the young and innocent. The Possession starts out strong. A particularly effective scene of a woman as she tries to destroy the box and the nasty comeuppance which that act brings. Sadly all the good work here is squandered by the end of the film. The script is tight until the lunacy of the final act. Inventive and daring, although perhaps relying a little too much on computer generated imagery, the film drives along at a sharp pace, not leaving copious amounts of time to catch your breath, but still taking enough time to explain and delve into the characters. 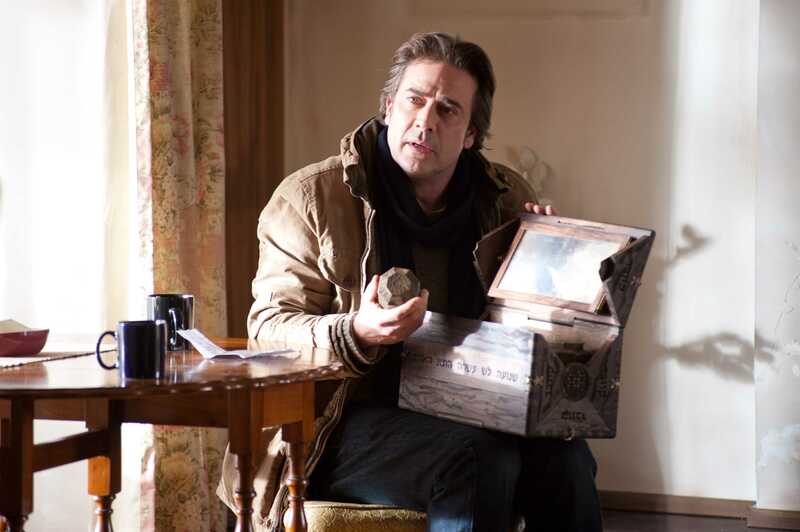 The lead cast deliver good performances, especially Dean Morgan as the perplexed and devoted father, and Calis as the object of the possession. Calis will be one to watch as her performance here is seasoned well beyond her years on the planet, excellent work. Now to the disappointment, The Possession falls apart in the last 20 minutes due to poor choices and poor script work. The ending is truly awful and leaves a sour taste in your mouth as you exit the cinema. The CGI is clumsy and a particular CGI creation is just simply the wrong decision. Everything gets wrapped up nicely, complete with a nice little bow on top, except the box moves on, in a completely predictable and underwhelming final couple of minutes. The CGI in the film works quite well for about 90% of the production. A lot of the gags involving Calis work like a charm, it’s just too bad the commercials/trailers ruined most of those moments. Definitely not the least successful genre film in the multiplex right now, The Possession works for most of the film as a taught piece of horror, but the last 20 minutes waste all the positive work. The Possession is a very mild recommend. There were times when my hair stood up on end because of the creepiness, such as seeing the demon on the CAT scan. Then there was the scene in the morgue where she was speaking in two voices. I watched it with a few DISH coworkers and one of them said the creepiest part for her was how Emily looked while on the swing. I would like to see the movie again, but I’m more than okay with waiting for it to come out on DVD, which is why I’ve added it to my Blockbuster @Home queue since I should get it before Netflix. This movie definitely ruined yard sales for me.